Fueled by a burst of summertime energy, I’ve been feeling quite productive at home and work and was looking forward to clearing many more items from my to-do list this week. But plans changed abruptly Saturday morning and I have to say that it was for the better. 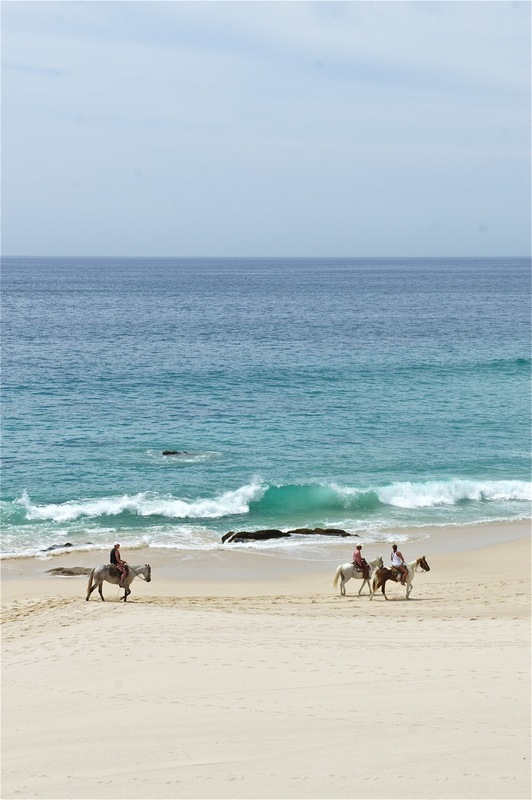 We decided to join some friends on a last minute trip to Los Cabos, Mexico. 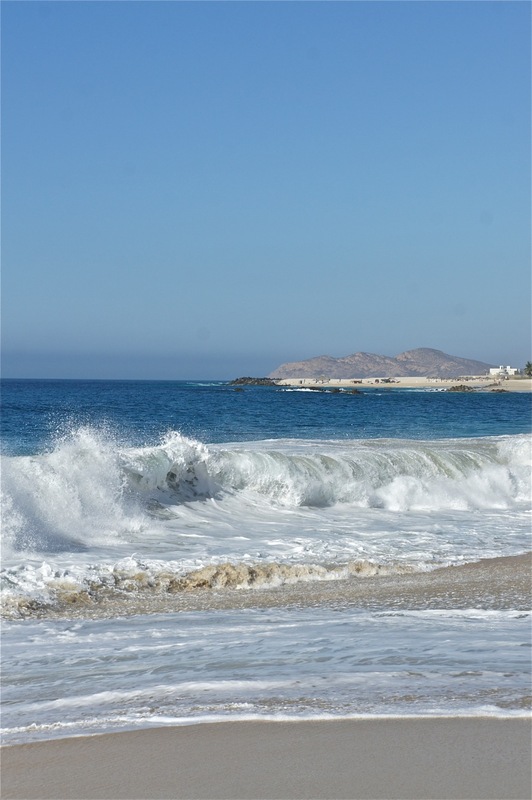 In less than 48 hours we had our plane tickets, were packed and were on our way to the southern tip of Baja, California. I will share more on an upcoming post. Right now, productivity has been set aside for some time on the beach, my husband and our friends. In the meantime, here’s the last of the series of artichoke recipes I’ve shared lately. Remember this Baby Artichoke and Chicken Sausage Pizza? It was the first of the artichoke dishes I prepared since becoming enamored with them a few weeks ago and we’ve been buying them practically by the bushel each week. While a couple dozen pieces seems like a lot, once the tough outer leaves are peeled away, you’re left with a small usable choke. But the best part its, inside the little guys are tender and only need a quick sauté to be ready to eat. When I prepared the pizza I sautéed them with a sausage but this is not necessary. 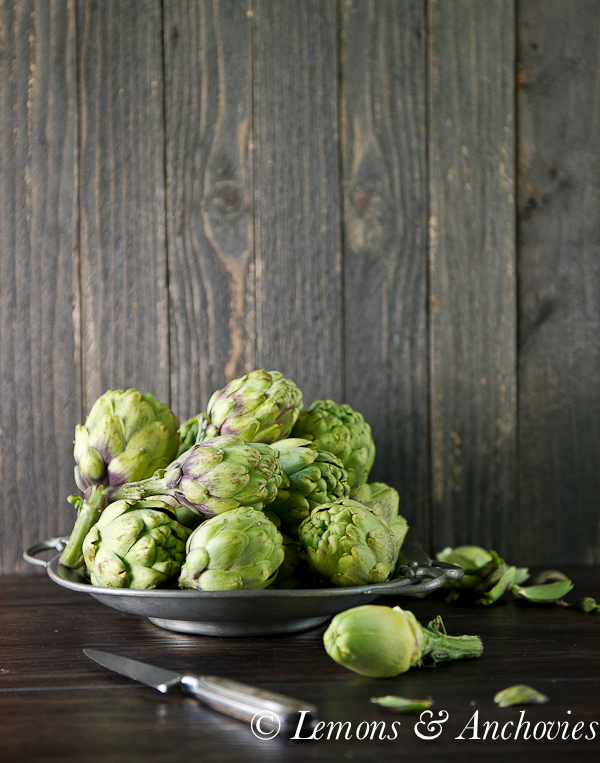 A little olive oil, garlic, salt and pepper are all you need to bring out the best of these baby artichokes. 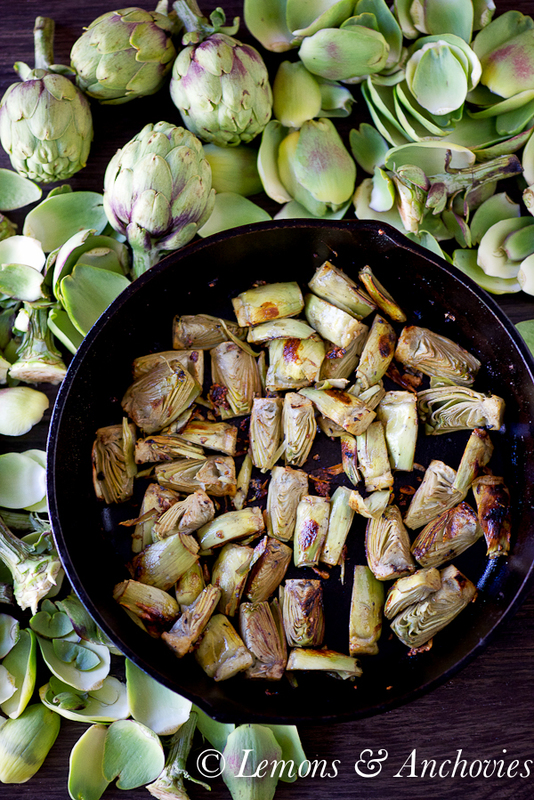 A tip for you: soak the artichokes in a bowl of water and the juice of one lemon as you cut them up. Once exposed to air, the vegetable oxidizes pretty quickly. This is not that critical if you plan to sauté them since the goal is to brown the outer portion of the chokes but they will look more appealing if you do. 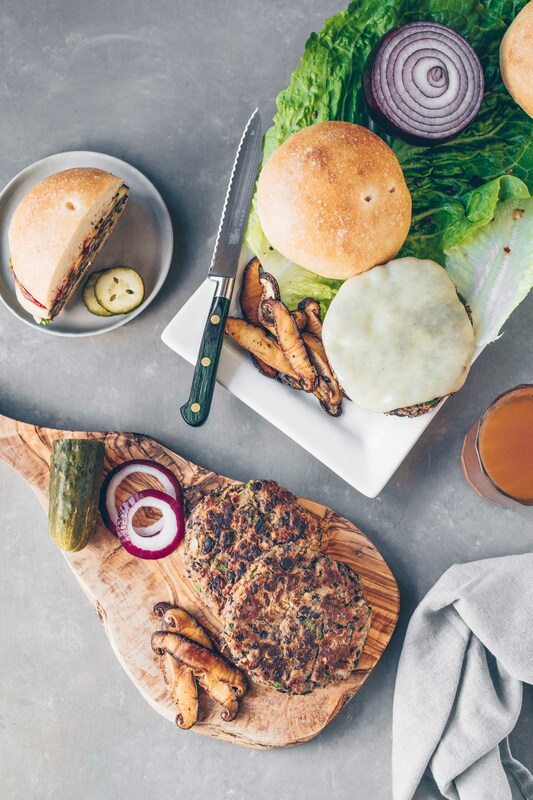 Artichoke season has just peaked in California and if you can find the baby variety at your farmers market, grab a (big) bag and try this recipe. You won’t be sorry! When artichokes are in season, try to find the baby variety. A quick sauté is all they need for a special side dish or as a topping for pizza. To prepare the artichokes: peel the tough outer leaves until you reach the tender yellow green leaves inside. You will peel about half of the leaves off until you reach the tender portion. Most of the stem is edible and at most, you'll just have to peel a layer or two of the outer portion to clean it up. 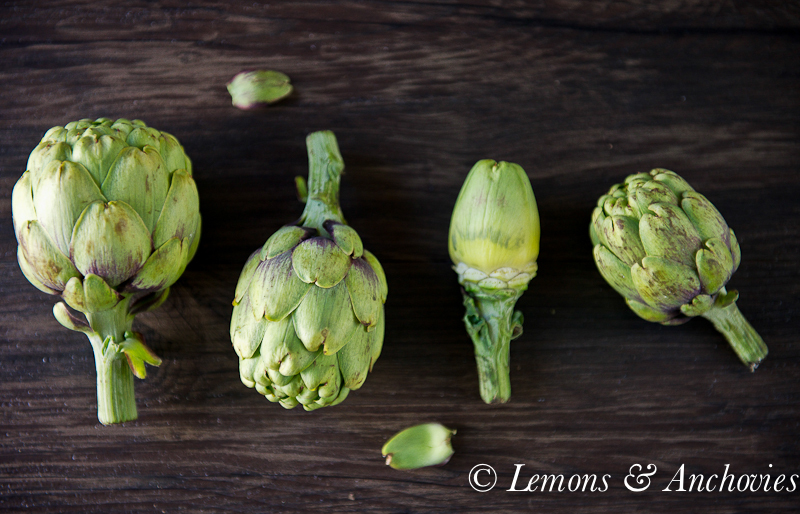 Cut the artichokes in halves or quarters and soak in the lemon water until ready to use. 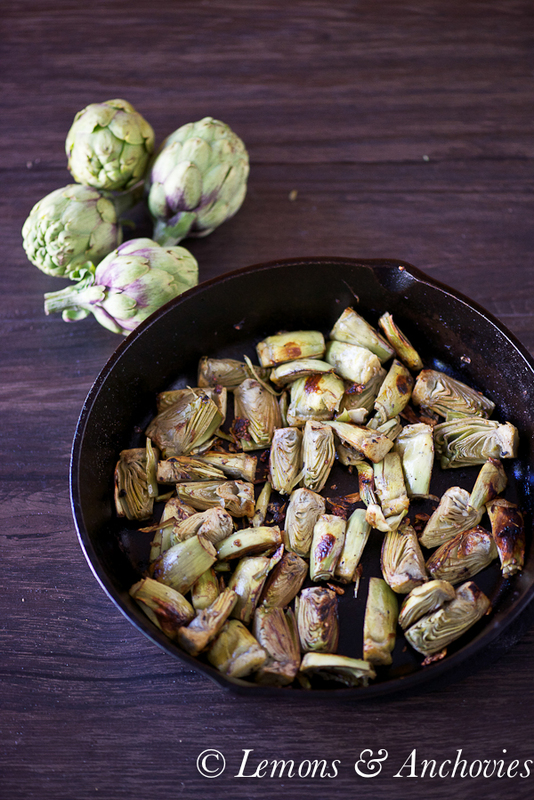 To cook: heat the olive oil over medium high heat in a skillet and add the artichokes (drained from the liquid). Cook for about 3-4 minutes to get the browning started then add the garlic. Season with salt and pepper. Continue to cook for another 3-4 minutes until the garlic starts to brown and the artichokes are nicely caramelized on the outside. Enjoy as a side dish or as a topping for pizza, crostini or a salad. LOVE that first photo – so relaxing! I can completely understand why you both love it down there so much. Hope your vacation is going great. These artichokes look divine and makes me want to run down and get some. Lovely photos!! Happy 3 day weekend! These artichokes are beautiful, Jean! Hope you have an amazing trip! Jean, I am not sure why I couldn’t leave a comment on your lemon bar post…Anyway, I love artichokes!!! Too bad I have not tried peeling them on my own. I should really! I will surely add this to my culinary bucket list! Your dish looks great! 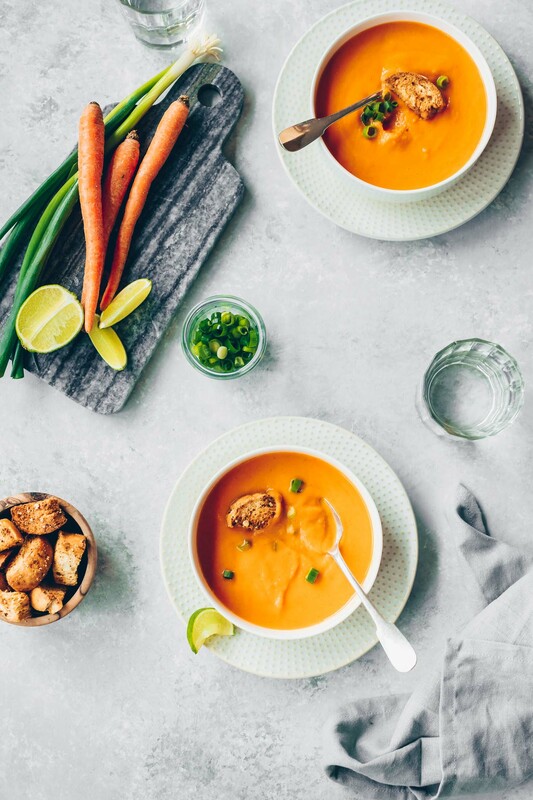 And artichokes are considered one of the world’s healthiest foods, so…NICE! We adore artichokes! YAY for summer! And what a gorgeous holiday you went on. Hope you had an amazing time!